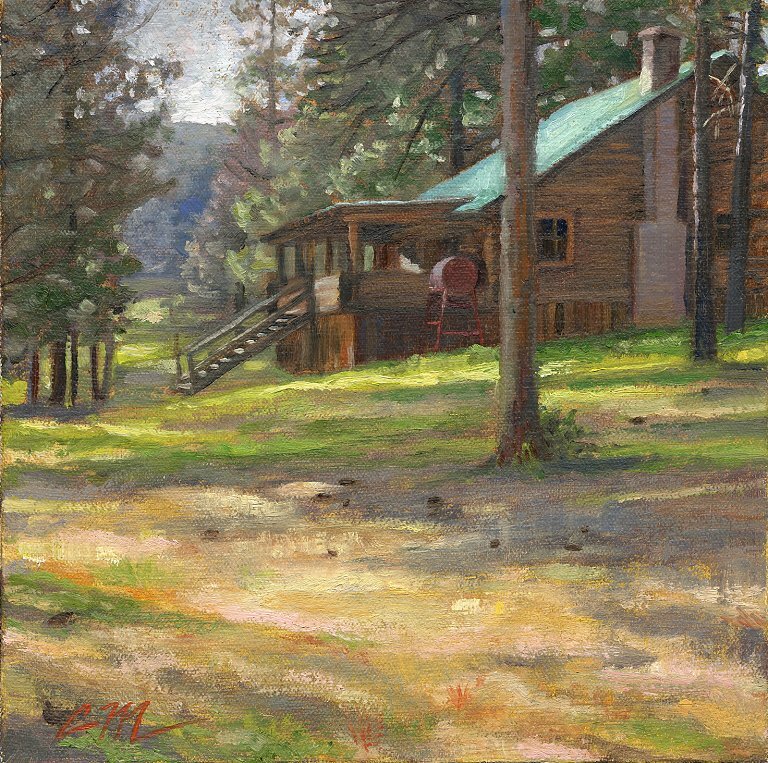 This "faux plein air" (painted from a photo) was the most successful of the three pieces I did at last week's Masterpiece Christian Artist's workshop in Ashland, OR. In spite of an accident that nearly destroyed my French easel on Day 1 and contracting a cold on Day 2--which fortunately did not get nasty until the last day--I enjoyed the beautiful mountain setting and getting some insights into how the other illustrator/painters work. I also left with a little more confidence in my own developing style and ability.